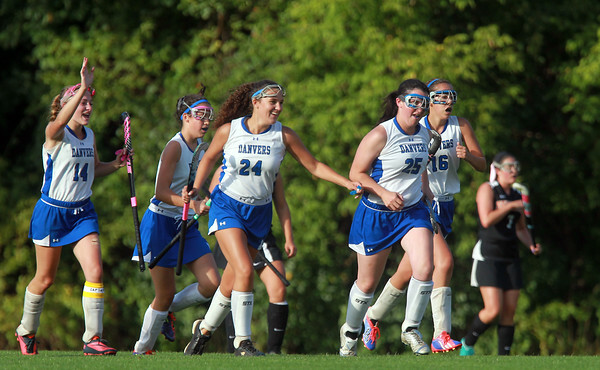 The Danvers field hockey team escorts senior Caitlin McBride (25) back upfield after she scored her second goal of the game against Beverly. DAVID LE/Staff photo. 9/16/14.